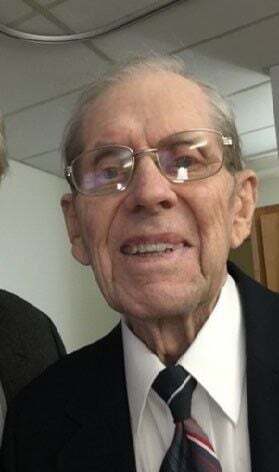 LELAND, IA - Dale L. Zingg, age 97 of rural Leland, Iowa, passed to greener pastures of Our Lords Kingdom on Thursday, December 13, 2018 at the Lake Mills Care Center. 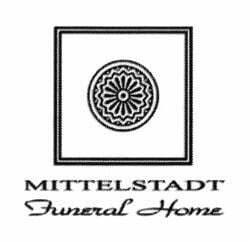 Funeral services will be 11:00 AM, Monday, December 17, 2018 at West Prairie Lutheran Church, 40041 150th Avenue, Leland, IA 50453, with Rev. Dr. Pat Hall of the Zion Lutheran Church, Clear Lake officiating. Visitation will be held from 9:30 A.M. till the time of the service on Monday at the church. Interment will take place at West Prairie Cemetery in rural Leland, IA. In lieu of flowers, memorials may be directed to the Leland V.F.W. Post #6161. Dale Lavine Zingg was born May 16, 1921 in Leland, Iowa to Grover Cleveland Zingg and Helen (Peterson) Zingg Flatrud. Dale grew up on the family farm in Leland, Iowa, leaving school after eighth grade to help raise his brother and sisters with his mom, Helen, during the depression. Dale entered the Army in June 1942 and used his farm and work skills to drive an army truck for the 460th Engineer Depot Company. He served with his unit in North Africa, France, and Belgium. After his honorable discharge in November 1945, he returned to the family farm. Dale was a lifelong farmer on his family's century farm as well as a pilot, enjoying over 65 years at these two passions. Dale was a member of the VFW Post #6161. Dale is survived by his sisters, Arleen Sorenson of Rochester, Minnesota and Ruth Charlson of Golden Valley, Minnesota and numerous nieces and nephews throughout the country who loved him dearly. He is preceded in death by brother, Arlin (Ted) Zingg; sister, Mavis Holt and special friend, Gladys Anderson; brothers-in-law, Wilbur Sorenson, Don Holt and Oscar Charlson as well as his favorite niece, LeAnn Anderson (Sorenson). Oscar was married to Ruth (Zingg) Charlson. Don was married to Mavis (Zingg) Holt. Wilbur was married to Arleen (Zingg) Sorenson. LeAnn was daughter of Wilbur and Arleen. He passed away peacefully surrounded by family and loved ones.